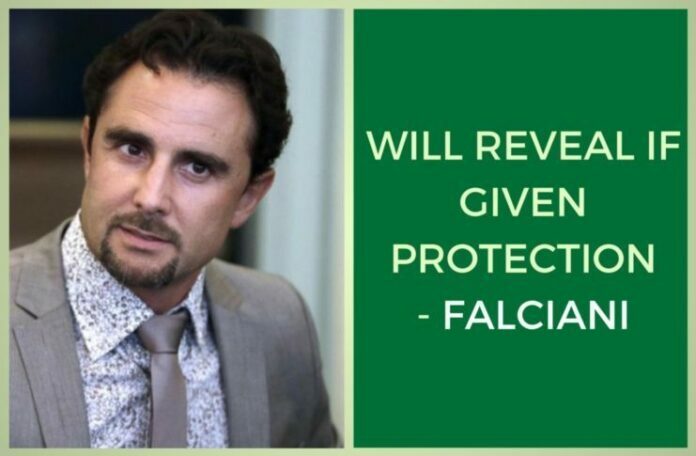 [dropcap color=”#008040″ boxed=”yes” boxed_radius=”8px” class=”” id=””]H[/dropcap]SBC bank whistleblower Herve Falciani on Monday said he was willing to cooperate with the Indian investigative agencies in probing black-money cases provided he was given protection. “I have a lot of information about Indians stashing away money abroad but for that I need cooperation and support of the Indian investigation agencies towards the safety of whistleblowers,” said Falciani while addressing mediapersons here through videoconferencing. “If I come to India to help investigators, I will be arrested. I’m not able to share information because of lack of coordination,” he added. He said that millions of crores are flowing out of India, Russia, Brazil, and Argentina every year. [dropcap color=”#008040″ boxed=”yes” boxed_radius=”8px” class=”” id=””]F[/dropcap]alciani is facing charges in Switzerland of leaking details of bank account holders in Geneva branch of HSBC. The French government, which later accessed the list, shared with India information relating to Indian clients of the bank. “We are at economic war and information is the only tool through which we can hold our ground. For a country like India it is necessary to protect the whistleblowers or the insiders who give information,” he said. The central government had formed a Special Investigation Team (SIT) on the directions of Supreme Court to probe black money cases. SIT is led by two former apex court judges — Justices M.B. Shah and Arijit Pasayat. Earlier in August, Falciani had written to the SIT pointing out how the Indian government did not appear serious about pursuing and tracking down this black-money. [dropcap color=”#008040″ boxed=”yes” boxed_radius=”8px” class=”” id=””]I[/dropcap]n the letter addressed to SIT head retired Justice Shah, Falciani had pointed out SIT advisor KV Chowdhary had met him on December 15-16, 2014 in Paris where he (Falciani) had advised the Indian investigators to join in and continue the investigation with other countries rather than work with data alone to get limited results. “There is an urgent need to focus on unraveling the role of financial intermediaries. If this is not done status quo will prevail as far as the black money problem in India is concerned,” he had written in the letter to SIT. Former Aam Aadmi Party leaders Prashant Bhushan and Yogendra Yadav were also present in the press conference. Hitting out at Bharatiya Janata Party (BJP) led-central government for adopting a lax attitude in dealing with black-money Bhushan said the government was not serious in bringing black-money back. [dropcap color=”#008040″ boxed=”yes” boxed_radius=”8px” class=”” id=””]S[/dropcap]IT told the government that around Rs.2,71,000 crores ($45 billion) were invested in the stock market through participatory notes and the anonymity of these holders should not be allowed and their names should be known to the authorities. “The government has not accepted this recommendation of SIT. Why the government is not implementing the SIT’s recommendation for doing away with the anonymity of participatory notes?” he asked. Bhushan asked from the government that what action it had taken regarding the foreign accounts of Chhattisgarh Chief Minister Raman Singh’s son, as revealed in International Consortium of Investigative Journalists (ICIJ) website. Is MoF doing a MunnaBhai MBBS?